Between winter and spring there’s a frustrating time. One day the sun shines, the sky is a warm, dark blue and the greenhouse door needs to be pulled wide open. This spring-like day is generally followed by a grim, grey, damp day… the greenhouse door remains firmly shut because winter has returned. Maybe it’s only frustrating because I’m an impatient gardener. I want to get out there and sow seeds. I’m anticipating the first peas, lettuces and broad beans that the warmer weather will bring. 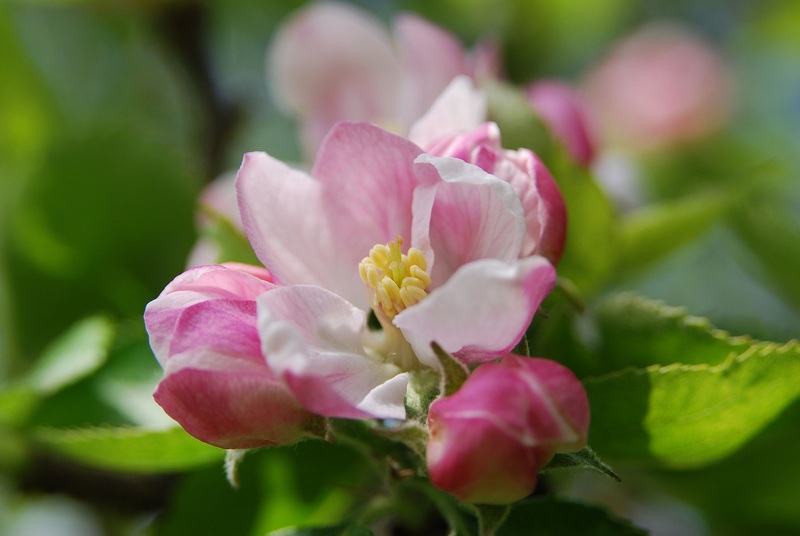 I’m eager for blossom on the fruit trees, flowers in the borders and bees buzzing between them. The garden has more patience. Winter’s passing is marked by the muscari taking over from snowdrops as the flowering bulbs. The rhubarb and chives are just starting to show fresh leaves, and on warmer days, pulmonaria, crocus and rosemary flowers are opening to dispense spring nectar to the bumblebee queens as they emerge from hibernation. Indoors the chilli and tomato seedlings get moved from one windowsill to another, following the sun. Everything is coming along at the right pace. One of the positive things about the transition from winter to spring (apart from the promise of longer and warmer days), is the merging of flavours as the last of the winter crops are joined by the first fresh spring leaves. Here’s a recipe for a Garden Deli favourite. It uses the last few leeks pulled from the veggie patch. They’re a little weather-beaten after a winter in the ground, but still have all the taste that home grown veg should. Add a good handful of rocket, parsley and chervil from the greenhouse – again these are overwintered plants, but now starting to make young, new season growth. And you have a winter-spring flavour fusion. First make the pastry – combine the flour and salt in a mixing bowl. Grate the cold butter into the bowl then, quickly and gently, use your fingertips to distribute the butter evenly through the flour. Stir in the egg and just enough icy cold water to form a dough. Make a ball with the pastry, wrap it in cling wrap and chill in the fridge for 30 minutes – you can leave it longer if it’s more convenient. While the pastry is chilling, make the filling. Melt the butter in a frying pan over a medium heat. Add the sliced leeks and sauté until soft. Remove from the heat. Season the leeks with salt and pepper, then stir in the chopped herbs. Preheat oven to 190oC/375F/gas 5. Grease a 24cm (9½”) flan tin. Remove the pastry from the fridge and roll it out to line the flan tin. Sprinkle half of the cheese over the pastry in the base of the tin. Top this with the leek and herb mixture, and cover with the rest of the cheese. Whisk together the crème fraiche and eggs along with a good grating of nutmeg. Pour this mixture over the flan filling – you might need to tip the tin one way and the other to spread the mixture evenly through the leeks and cheese. Bake for about 25 minutes, until the filling is set and a nice golden colour on top. Your photo’s are beautiful and that tart looks delicious. It’s good to see the new growth starting and be able to make plans for future harvests, isn’t it? Thanks for the idea for the recipe; just what I need to add to a buffet table this weekend! Your description of the greenhouse is just what happens here with the added spice of keeping the shade netting in the right places, Sun through the glass through the propagating lids = cooked seeds that never germinate! I’ve yet to need shade netting here in Yorkshire, but I’ll pretend to feel sorry for you having to cope with too much spring sunshine! Lovely post and great photos. Oh divine! And so are the pics … thanks for sharing. Thanks Julie. You’ll be starting to think of autumnal flavours now, will you… or is summer lingering on in your part of the world? 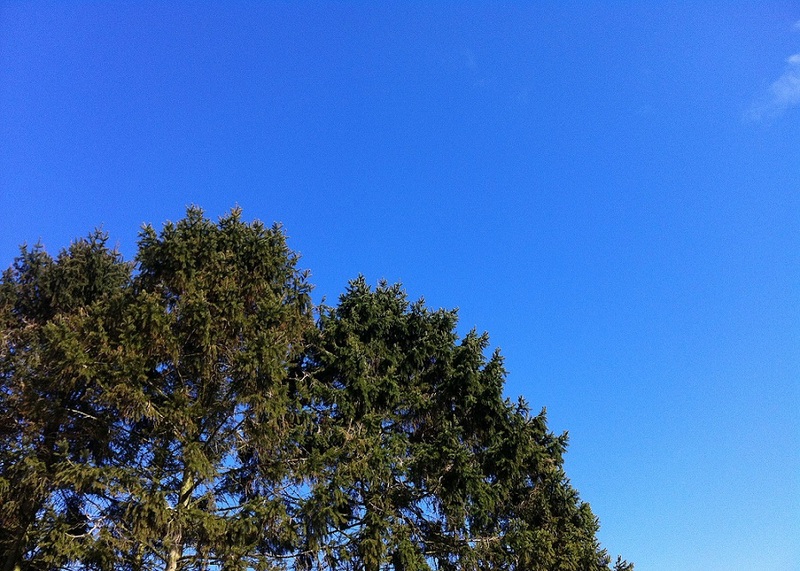 We’ve got one of those blue sky days today, but rain forecast tomorrow…. 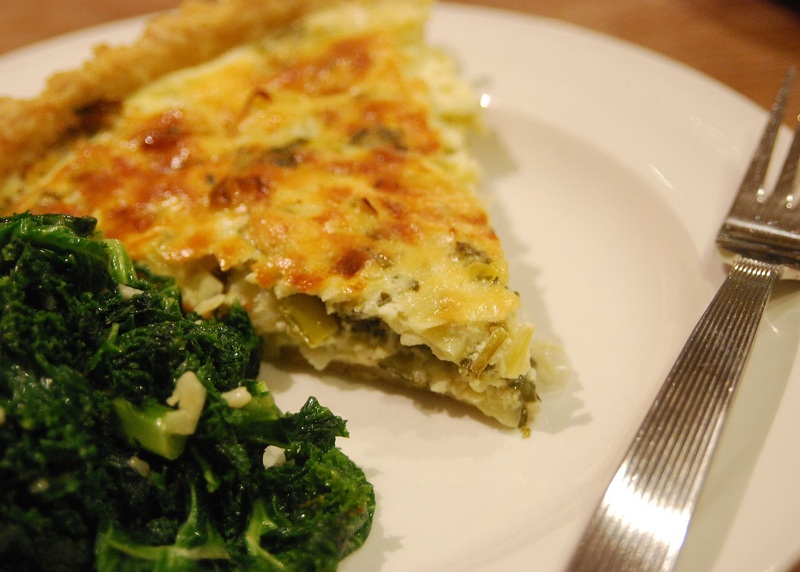 and leeks in the fridge, so I might just try this! Have a good week Sarah! Thanks Cathy… hope your week was good too. Umm, sounds delicious. I might just try it. Hope you like it if you do make the tart. You are right, such a frustrating time of year. One minute, the sun is warming your face and the next minute it’s back to winter. I’ve never felt so frustrated as this… But at least my chives and rhubarb, too, are starting to show their first leaves. It won’t be long before everything is growing so fast, and we’ll be grumbling that we can’t keep up! As I’ve been so slow in responding to comments… the season has moved on and the weather seems to have realised that it is spring and we’re forecast double figure temperatures for the whole week! Love the idea of Winter/Spring fusion food! Your tart looks lovely, I have a few weather-beaten leeks I could use too. 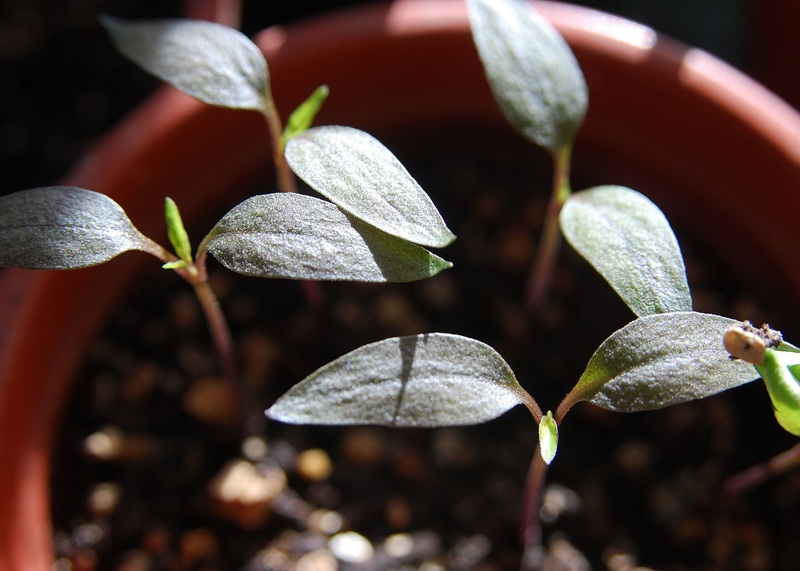 Getting very excited/impatient when I glance at my seeds germinating on the kitchen windowsill. It’s always exciting to see the first signs of growth in a pot of seeds… although I have been known to give a stern talking to the pots that seem to be taking too long in germinating! Fresh peas are one of my favourites too. Good luck with fencing out the foxes and cats. this is exactly the same as what we are experiencing right now – though we are in autumn here in tas. the weekend was exactly this – saturday was a gloriously sunny day, perfect for garden work, in shorts and a t shirt … sunday was mean and miserable, grey and overcast, mizzling rain and cold. your tart looks very elegant. Thank you – I don’t think my cooking has ever been described as elegant before! Hope you get some fine autumn weather to finish the gardening year in Tasmania.